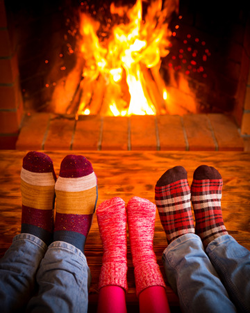 Crisper weather and earlier sunsets can prompt us to think about the holidays and how we might invite family and friends into our homes. 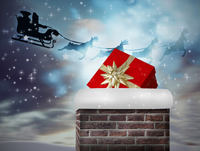 While we enjoy the fabulous restaurants in our community, the idea of opening presents in our homes conjures up painful visions of the scene in, “A Christmas Story,” where they ate Christmas dinner at a Chinese restaurant. So, as you consider that unhappy scene in your mind, is it time for a new dining table, sofa or a hallway furniture set? The time to make that decision is now. The ability to find the perfect piece for your home diminishes greatly when you are reduced to what you can find at a local retailer, even if you start looking by October. I know many of my clients who have made less than perfect – and yet expensive – decisions to purchase on the spur of the moment. Those decisions haunt them still. So what amount of time do you really need to find what you want? The lead time to get most imported furniture is about six months. Isn’t that a great reason to purchase well-crafted American furniture? You can order a custom piece and have it before Christmas if you plan ahead. Because the furniture manufacturers we work with stock the fabric and wood components to be able to meet demand quickly, these companies are prepared for your order. When production begins, the wood joining, stain and finishing are the first steps, taking about a week to ten days. Next comes the forming process, when springs, foam and Dacron wrapping are added to the frame. This takes another week before the upholstery process starts, and that requires another week. Then, your custom furniture is wrapped and boxed for shipping. The timing for completion depends on when you selected the product, when the fabric was chosen and if it’s in stock, how quickly the order was processed and when in falls into the queue to go into production. 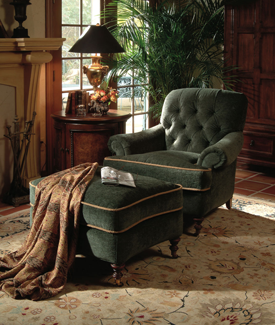 I find it takes a week for most clients to choose the fabric and style of chair. If you are indecisive, it has a domino effect. Even waiting another week can push the order back considerably longer, because other orders would have arrived before yours. So, what’s the deadline? Ideally, you should make your decision and place your order now – and certainly no later than the first week in October if you want new, custom furniture before Christmas. I love my furniture vendors that ship in six weeks. If you order by October 1, that just made the estimated shipping date November 15. Many of my furniture companies ship in their own trucks. They leave on Sunday with furniture that was completed the previous Friday, and I have it in a week to ten days. Looks like we will make a December delivery date with no problem! You’ll be glad that you stuck to your plan if you order now. Santa won’t need to make an emergency delivery in his sleigh. To discuss your custom furniture order, call 402-498-8777 for a consultation. Our specialty is creating relaxing and refreshing spaces that will help you celebrate the season in style. See more Interior Design articles here.